Whether it’s for a party, watching the game, or you just feel like a yummy snack for the family – this amazing appetizer is sure to be a fan favorite at your house! 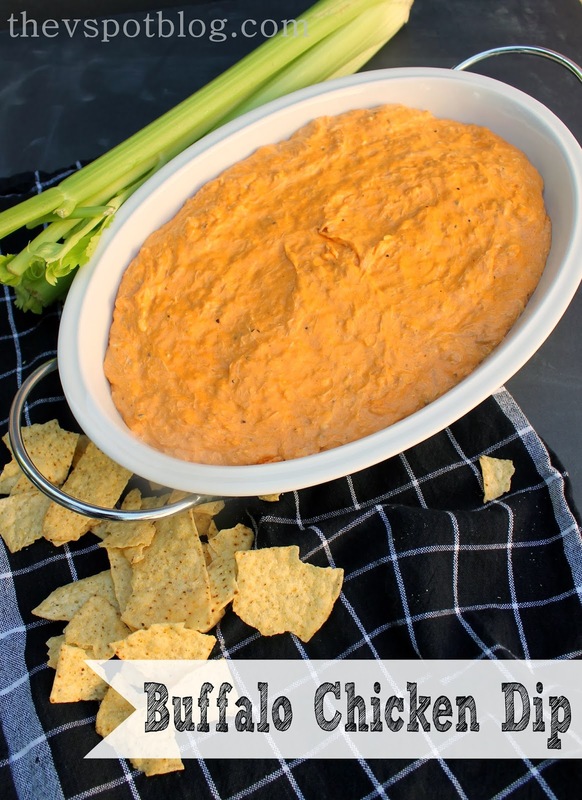 I’m going to sharing my friend Kirsten’s recipe for appetizer crack Buffalo Chicken Dip. This stuff is amazing and highly addictive. You have been warned. It was delicious. Even before it was ready. Saute the chicken in the hot sauce for about 4 minutes. Add in the cream cheese and stir until melted and well mixed. Remove from heat and stir in the bleu cheese dressing. Spoon into a baking dish and bake at 350 for about 30 minutes. Top with shredded cheese and then serve with tortilla chips or crackers and celery. 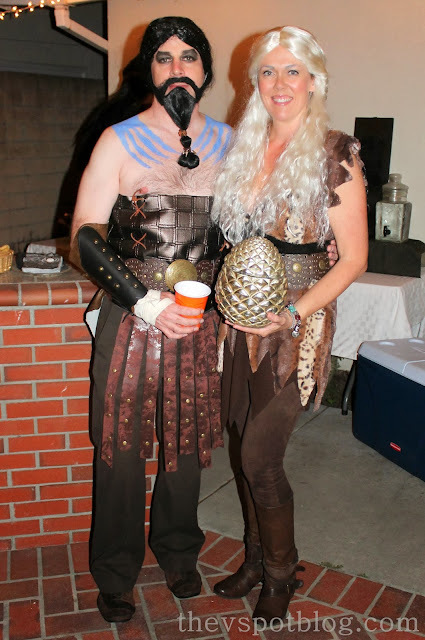 By the way, Kirsten brought this to our Halloween party and she won the prize for Best Dish. 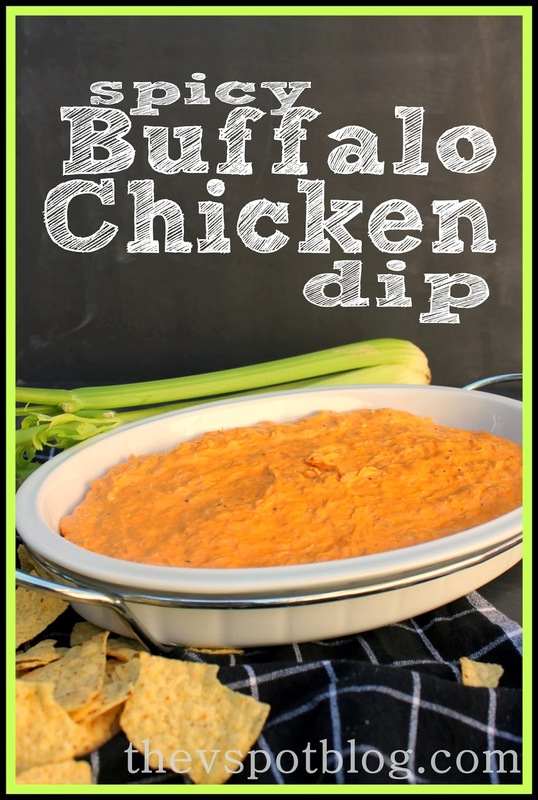 At any rate, I have yet to see anyone taste this spicy Buffalo Chicken Dip and not immediately want more. Yum! Enjoy! I have made this dip before and I agree with you…it is totally addicting! YUM! I could make this for dinner for myself and polish off the entire thing. That sounds so good. I am pinning this and hopefully making in the very near future. Appetizer crack!?! Now I have to make it! Thanks for the recipe! You seriously are making my mouth water. We would clean up this dish in no time! 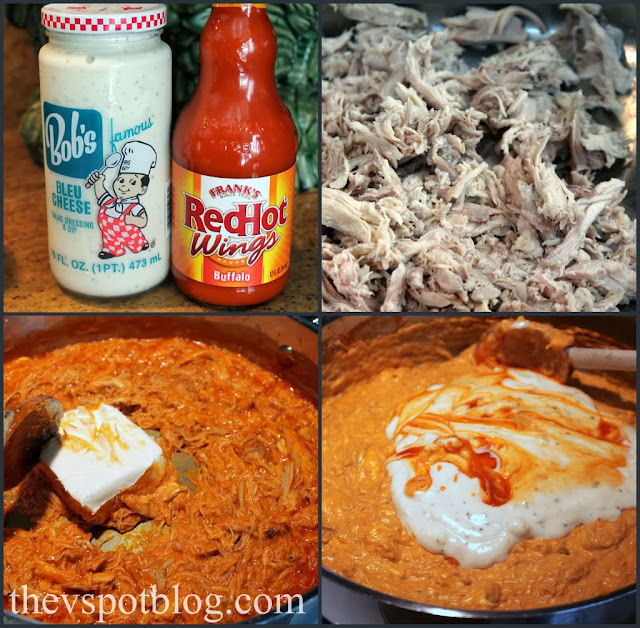 I'm making this for Supper Club the next time we meet. The guys are going to love it!! Sounds delish. Going to make this next hospital function.